The modest single-family homes that have long characterized the area are being torn down and replaced with cookie-cutter condominiums whose front doors are parking garages and sales prices out of reach for the average neighborhood resident. Developers from outside the neighborhood are snapping up vacant lot after vacant lot. In 2014, a new light rail opened, creating a commuter-friendly path between the southeastern Houston neighborhood and the notoriously sprawling city’s downtown. A $33 million renovation is underway at Emancipation Park, the neighborhood’s central park, founded by former slaves in 1872 to celebrate Juneteenth, the date when Texas slaves found out they were free. Even as some residents make use of the new light rail and look forward to the upgraded park, many of those who have been there through the years of disinvestment and neglect wonder who will ultimately benefit from the recent improvements. After all, the number of African-Americans in the Greater Third Ward has shrunk by more than 10 percent over the past decade, while the white population has doubled and income levels have risen. Developers are investing millions of dollars into the land with the belief that the area’s increasing property values will continue. It’s a challenge common to gentrifying neighborhoods — and in the Third Ward, like many others, there is a community organizing to make sure it doesn’t lose its voice in the process. “When we look at a neighborhood without understanding the social structures, values, aesthetics and behaviors behind them, as well as examining our own values, aesthetics and culture, we misdiagnose the root causes of the problem and thus misdirect valuable resources to fix them,” says Assata Nicole Richards, director of Sankofa Research Institute in the Third Ward, a consultant with Project Row Houses and one of the organizers of the Emancipation Economic Development Council (EEDC). The EEDC is a group of residents, church leaders and local organizers working to put control over the neighborhood’s future development back into the hands of the African-American community through a process of community-engaged design. “We need local community-centered work to transform the social structures that created the conditions of inequality, both in process and in product,” says Richards. Third Ward is Boston’s Roxbury, is Chicago’s Lawndale, is New York’s Harlem — all organizing to overcome histories of structural inequity. In these communities of color and others like them, multiple powerful forces have conspired to create a similar set of dynamics — increased income inequality, lack of rent protections, increased real estate speculation, and continued discrimination and unevenness in housing and infrastructure investments and policies — that are displacing low-income residents. Over the past few decades, architects and urban planners have worked, with varying degrees of success, to address these inequalities through community-centered strategies. But now organizers like Richards are joining with the urban design community to forge a new paradigm of practice that seeks to go beyond fixing the conditions of particular neighborhoods to address the policies, structures and systems that fostered the conditions in the first place. Explicit in this practice is a recognition of racial injustice. Barbara Brown-Wilson teaches urban and environmental planning at the University of Virginia School of Architecture and co-founded Design Futures, a public interest design student leadership forum. She says that the way we teach architecture and planning is outdated. The field of architecture developed to fulfill the demands of powerful and wealthy landowners: Patrons would tell designers the bold vision they imagined for their property and designers would do their best to bring their patron’s visions to life. But if we want to use the tools of architecture, planning and design to accomplish a different goal, then we need to cultivate different skills and processes. While many perceive the need to reinvent the way community-based planning and development works, best practices are still emerging. Part of the problem is the underlying assumptions built into the way we teach urban planners and designers. Traditional planning practice assumes that the most important knowledge about a neighborhood is that which can be quantified and statistically analyzed, and that existing governance models can solve the same problems that they helped to create and codify. Instead, many practitioners are working to combine technical tools with a more participatory, place and people-based approach. 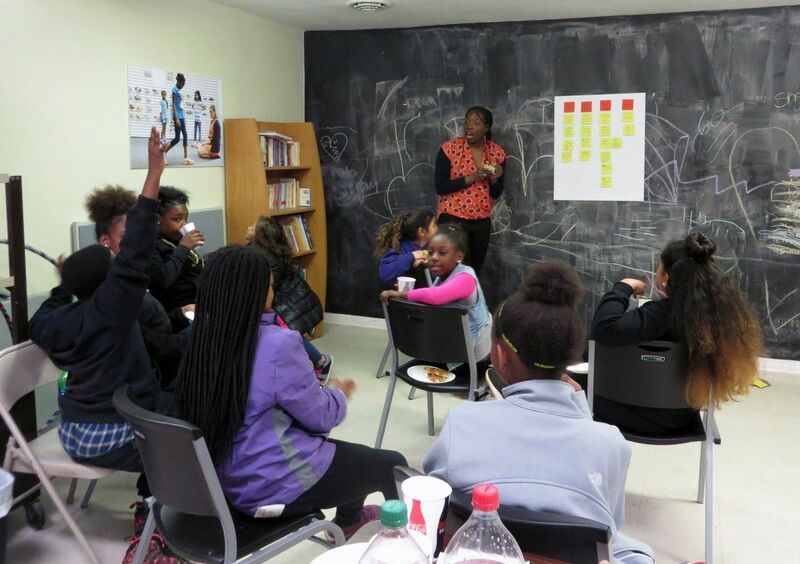 Such practitioners, who use tools like community-based participatory action research (CBPR), local asset mapping and others, suggest that knowledge about a neighborhood can only be gleaned through community-led partnerships, specifically with individuals who the impacted community has identified as representatives. Once partnerships are established with organized local communities, the group as a whole creates a collaborative process to understand the assets, challenges, changes and other information about the neighborhood. These partnerships between communities and outsiders require a high degree of trust, shared values, open communication and clear roles. Decisions made based upon the knowledge gathered by the entire group are made jointly. And ideally, this kind of community-led partnership becomes the status quo, so that those who are most affected by the changes at hand are recognized as representative leaders and decision-makers by the institutions allocating resources and making change. Not far from UVA, in the city of Charlottesville, urban designer Liz Ogbu of Studio O is working to do just that. Ogbu is collaborating with the Piedmont Housing Alliance, the urban planner Marc Norman, and Stantec Urban Places Group to redevelop one of the small Virginia city’s public housing complexes. The goal isn’t simply to modernize the development, known as Friendship Court, but to do that while ensuring that no one is displaced and quality of life is improved for all residents. In order to make sure the design team is accountable to residents’ needs, Ogbu helped convene an advisory board to oversee decisions. A diverse set of residents and representatives from the community make up the board. “While architects and designers may be taught that they are involved in projects just to build buildings, sometimes my work is much more about using design as a platform for unearthing spatial values and even for community organizing,” says Ogbu. 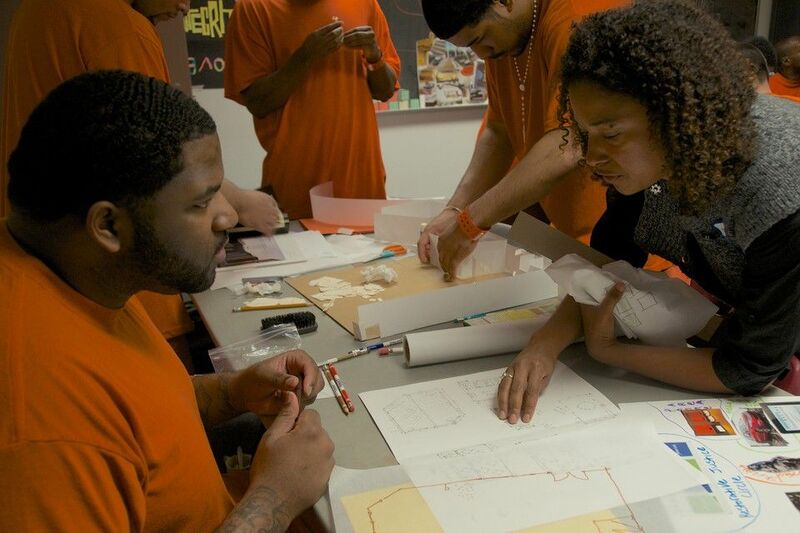 In Ogbu’s native Oakland, another set of designers — Deanna Van Buren and Kyle Rawlins of Designing Justice + Designing Spaces — are employing their practice to end mass incarceration.